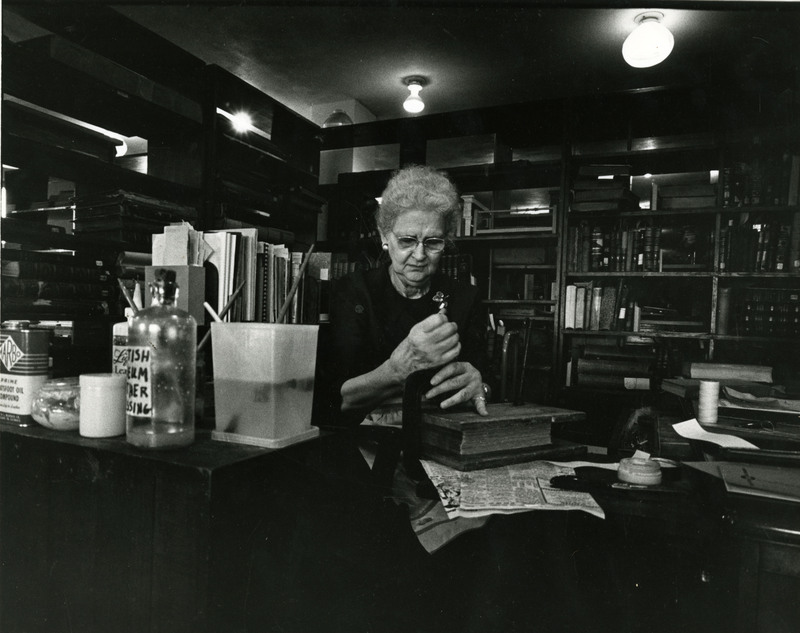 Miss Lane was Dean of Women for twenty years as well as head of circulation in the library. 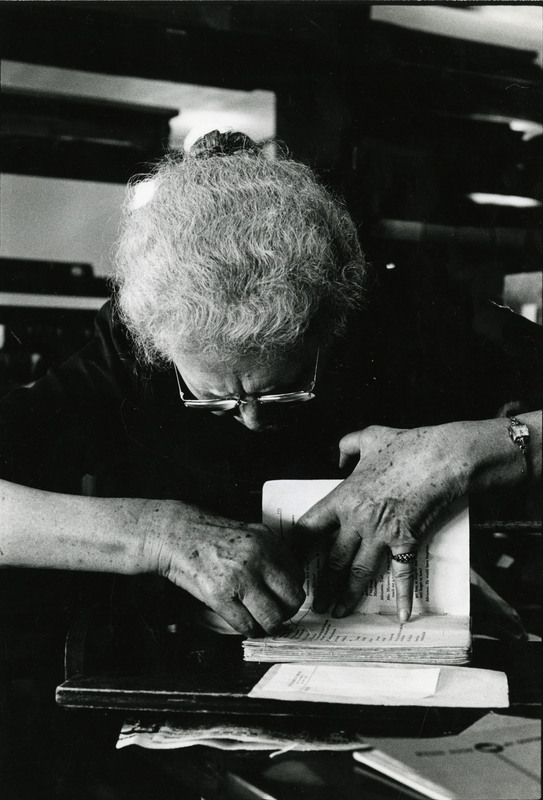 She retired in 1962 but then took up the job of book binding and repairing as a volunteer. Her workroom was on the fifth floor of Fondren (lending credence to my theory that everyone at Rice either has had or will eventually have an office there.) These photographs of her at work were taken there in 1966. I always liked those offices in the top of Fondren. As an EE, I did not get up there often, and when I did, it was usually to visit Dr. Thomas Haskell. He was my freshman adviser, and over my time at Rice, I frequently sought his advice, even when I had a department adviser. He was great at helping me see the big picture and hear my inner voice. His office always felt welcoming and comfy to me up there. I always left that space a bit better than I was. Thank you for the people stories like today’s. Being an engineer, I of course love the stories on the buildings and facilities, but the people illuminate these spaces. I remember occasionally seeing both Sarah Lane and Pender Turnbull behind the Fondren circulation desk between 1965 and 1968, when I was a young Economics Department faculty member.